Every October, the Great American Beer Festival (often referred to as simply GABF) graces the Colorado Convention Center. If you like beer (Denver LOVES it’s beer), then this event is a must with 800 breweries showing off all their finest brews. Be sure to buy your tickets the minute they go on sale, often sometime in August, as this is one of the hottest tickets in the city and will sell out in seconds. I’d be remiss if I didn’t mention our signature event, The Denver Adventure. 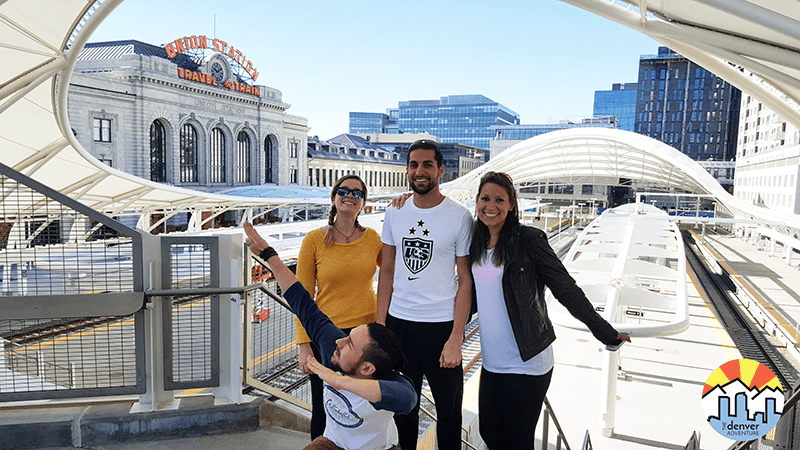 This city wide scavenger hunt is sure to be a blast with prizes totaling over 1,100$ hidden in various places around the Mile High City, including a trip to Snowmass for the team that finds it first! 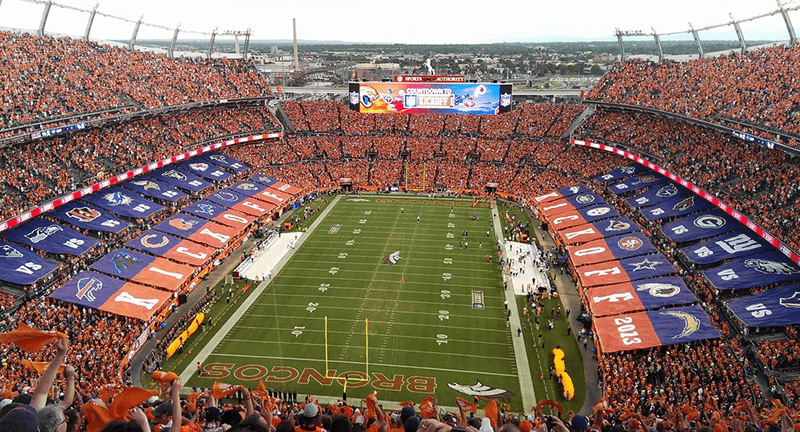 With a team in all the major American sports, October is a great time to catch a game in Denver. Sorry baseball fans, the Rockies’s season is probably going to end in September, but with the Broncos, Avalanche and Nuggets, you’re sure to find something that suits you. 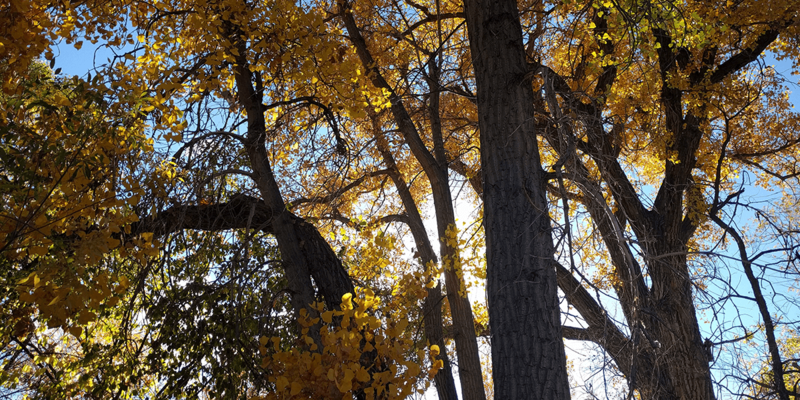 October in Colorado is one of the state’s best kept secrets. 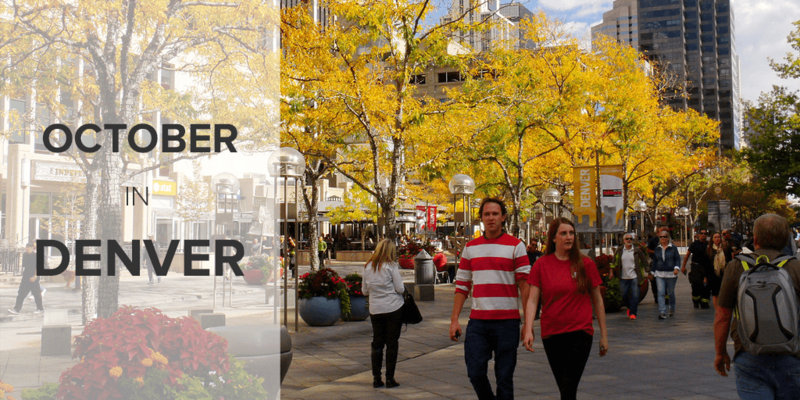 The average daily temperature is 66 degrees, but any local will tell you Colorado is far from average. It’s not uncommon to get bright sunny days in the high 70’s and even low 80’s. This nice weather comes at a price though – it could dump a foot of snow for literally no reason at any time. Have you ever gotten lost in a corn field? If not, now is your chance. 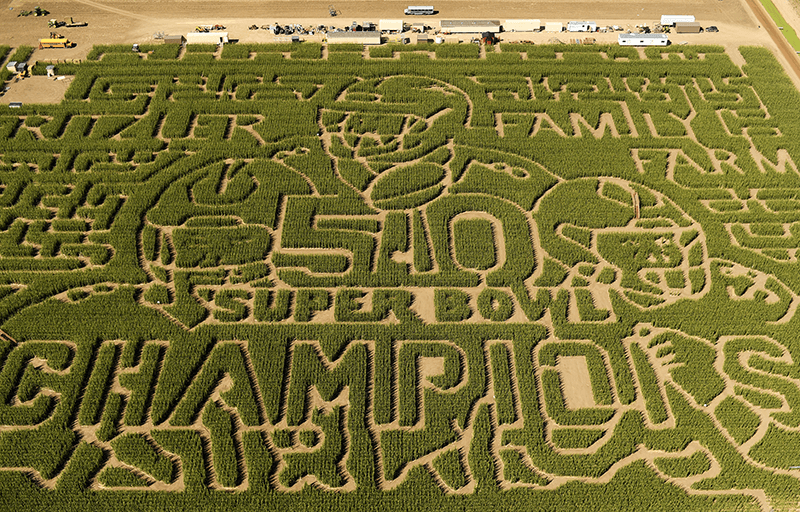 With so much farming just a short distance from the heart of Denver, it’s not difficult to get to any of the various corn mazes. Imagine you’re enjoying a nice brunch outside on the 16th Street Mall, when suddenly you see a zombie. Then 1,000 more go running by. 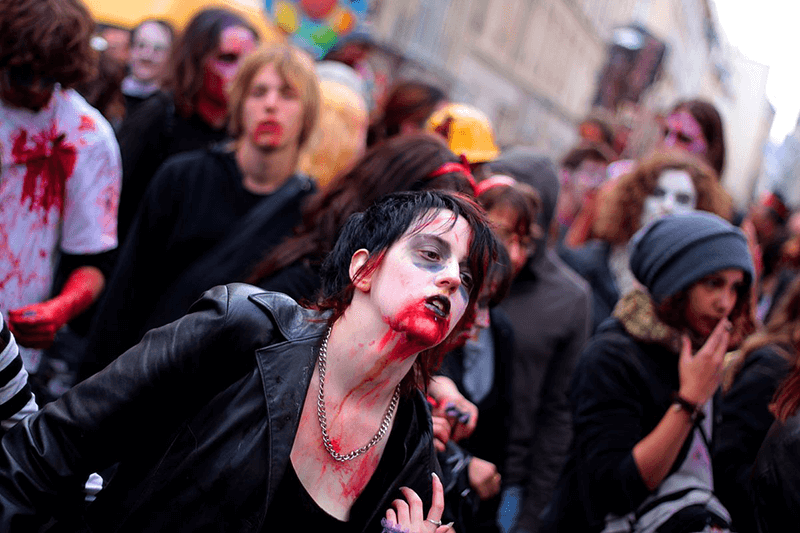 For over 10 years, the Denver Zombie Crawl has attracted those most in touch with their Halloween spirit and is another must witness event.